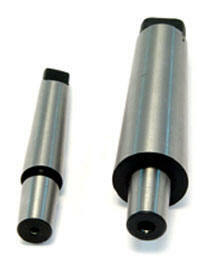 We are the Manufacturers & exporters of a wide variety of "Drill Chuck Arbors". 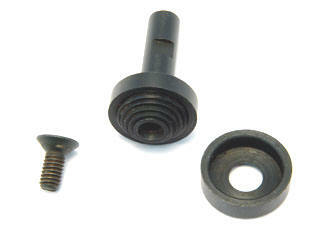 Hardened A Grade Type - Acc DIN 2185 is made from external and Internal Ground Carbon Steel. Workshop grade is made from external Ground and Internal reamed Carbon Steel. Offers flexibility in Sawing Operation. Spring loaded mechanism accepts Saw Blades with Hole Diameter from 1/2” to 1”. Offers flexibility in sawing operations. Spring load Mechanism accepts Saw Blades with hole diameter from 1/2” to 1”. Very handy for holding work when driving Pins, Drilling etc. V-Groove across the face accommodates round and odd shaped stock. Smooth finish on the face preserves the work being held. Hardened and Ground Knurled body for a firm grip.